It is a transformation which produces a mirror image of an object. 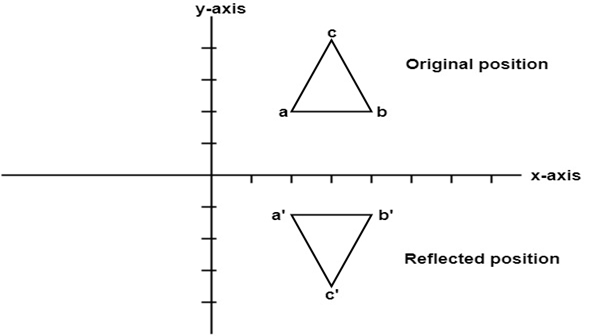 The mirror image can be either about x-axis or y-axis. The object is rotated by180°. In this transformation value of x will remain same whereas the value of y will become negative. 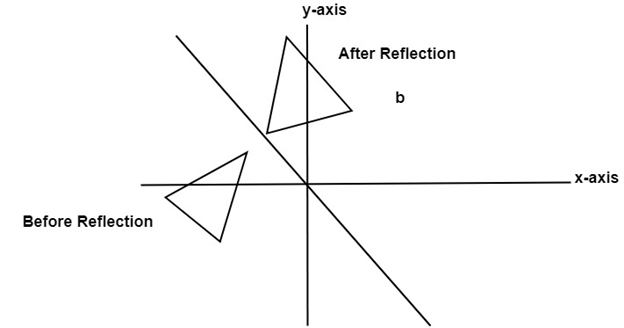 Following figures shows the reflection of the object axis. The object will lie another side of the x-axis. 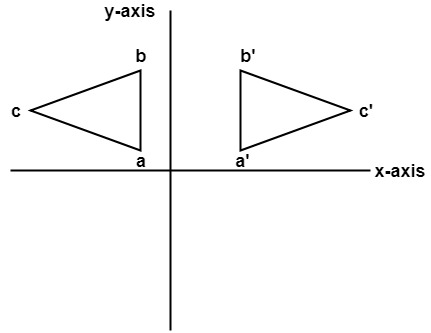 Here the values of x will be reversed, whereas the value of y will remain the same. The object will lie another side of the y-axis. 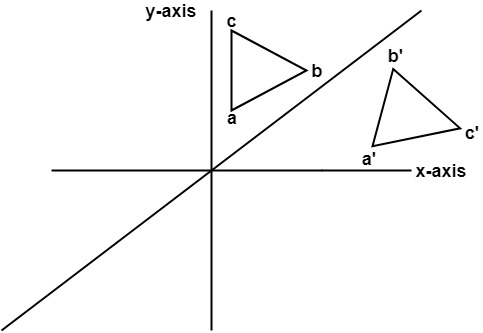 In this value of x and y both will be reversed. This is also called as half revolution about the origin. First of all, the object is rotated at 45°. The direction of rotation is clockwise. After it reflection is done concerning x-axis. 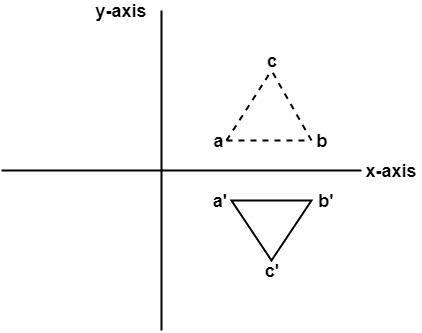 The last step is the rotation of y=x back to its original position that is counterclockwise at 45°. 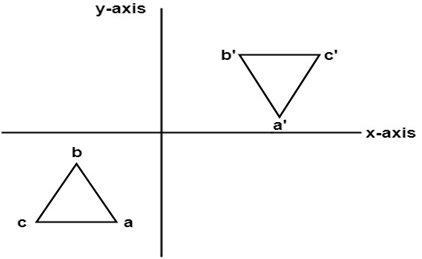 Find reflected position of triangle i.e., to the x-axis.